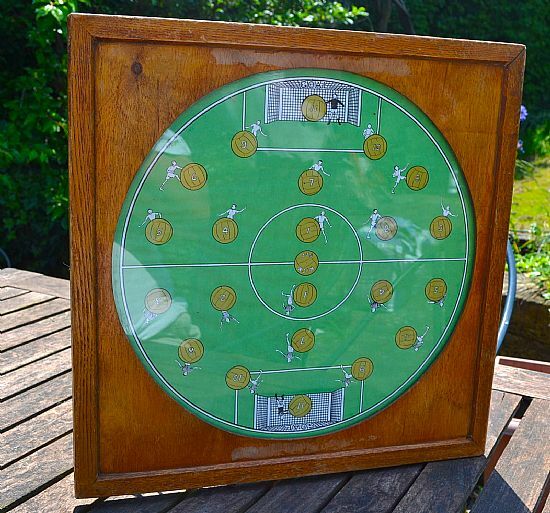 A lovely old wooden game designed to replace a darts board in the pub or at home. 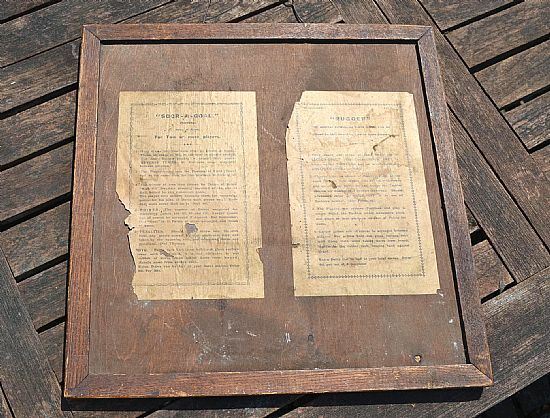 Mounted glass target that had rubber cupped darts originally. 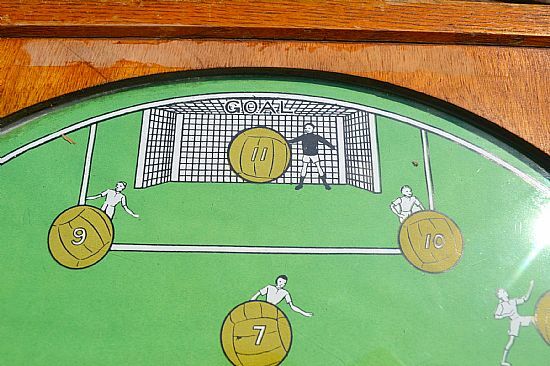 Various games - round the clock to score a goal or simply add up the totals scored. 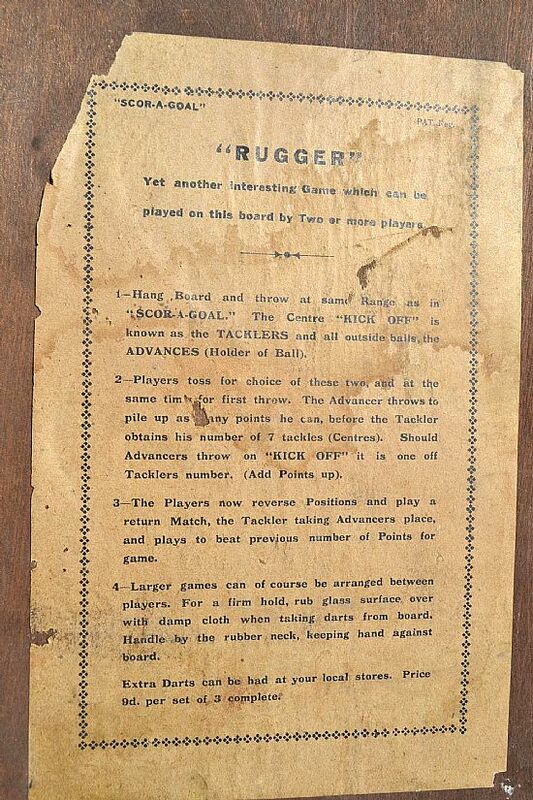 It also can be used to play a second game called Rugger but that is just poo! Lovely wooden framed target game that used rubber cup darts (missing). 30cm square and complete. 1930s? 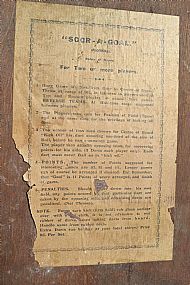 Printed paper pitch under glass with numbered targets 1 - 11. Nicely designed and printed gameboard. 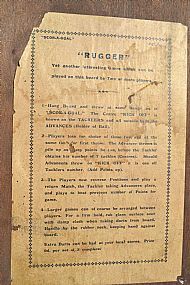 The rules are on the back, nice and simple, hit the targets to score - either 'round the clock' in order or add up the total score each time. 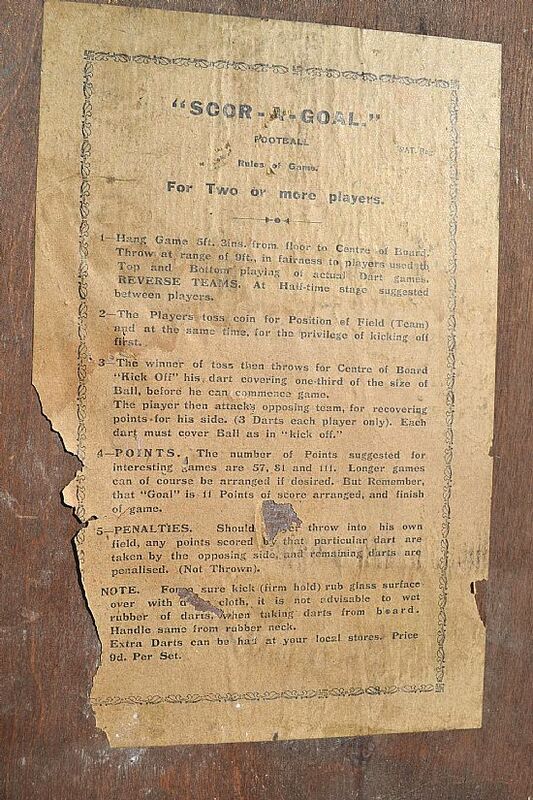 No idea why they felt the need to add a second set of rules for a game that doesn't match the pitch at all! 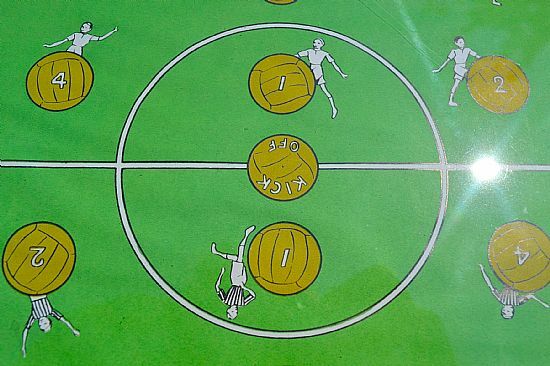 Rubbish game for a rubbish sport.